Our scent is made from the best quality fish oils around. Just squirt it on and it stays on. 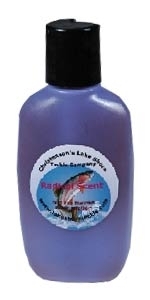 Longer Lasting, Stonger Scent, from dodgers, to lures, to soft baits just put it on and watch it work.